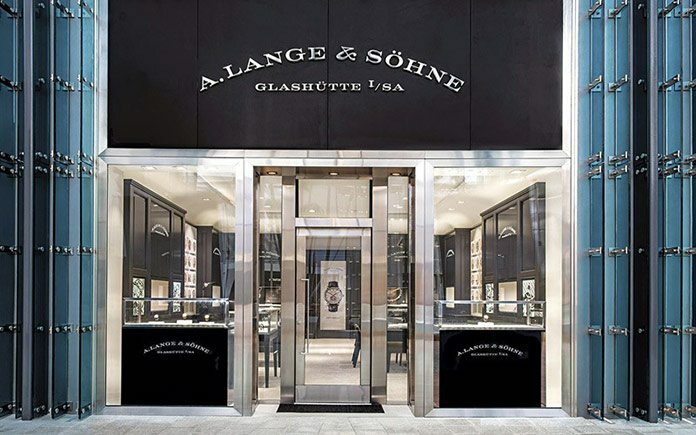 On 5 December 2014, the latest A. Lange & Söhne Boutique, took residence in Miami’s Design District, the city’s creative shopping destination dedicated to high-end fashion, design and art. With recent openings in Palm Beach and New York, this exclusive location became the revered luxury watch brand’s third proprietary shop in the United States. The handcrafted precision timepieces from Saxony, Germany, will then be available at 14 boutiques and selected retailers in more than 60 countries around the world. The arrival of the second A. Lange & Söhne Boutique in Florida underlines the importance of the region and its ever-growing fan base of the prestigious brand. “The new site is an important cornerstone of our distribution strategy, which will help us to strengthen our presence in the US market,” noted Gaetan Guillosson, President of A. Lange & Söhne North America. On a space of 74 square meters, the new A. Lange & Söhne boutique showcases a vast selection of handcrafted timepieces including sophisticated complications and the latest novelties. For friends and collectors of A. Lange & Söhne the new Home of Time in Miami is sure to become a watch aficionado paradise. Ever since the manufactory opened its first own shop outside Germany, in Shanghai in 2008, the international A. Lange & Söhne Boutiques have become embassies of the Saxon manufactory. Common to all is the interior design concept that reflects the brand’s signature colors and materials, featuring wood panelling in elegant grey and sandstone elements. Representative collections as well as highly competent and attentive advisors reflect philosophy of A. Lange & Söhne marked by its unique combination of innovative technology and traditional craftsmanship.